Among other talents, Jurgen Klopp has a way with words. English may be his second language but Klopp delivers perfect summations of his teams and what they stand for, his articulation echoing the panache of the best polemicists. Remember Borussia Dortmund and their heavy metal? On the eve of Liverpool’s biggest match since 2005, he did it again. Big balls football. That was Klopp’s assessment of Liverpool’s progress to the Champions League final. He didn’t make it sound crude, but brave. He did not make it appear unsophisticated, but courageous. And he is right. That is what it took to bring Liverpool to Kiev. It took cojones the size of melons, it took resolve and passion and a willingness to risk. It took balls. 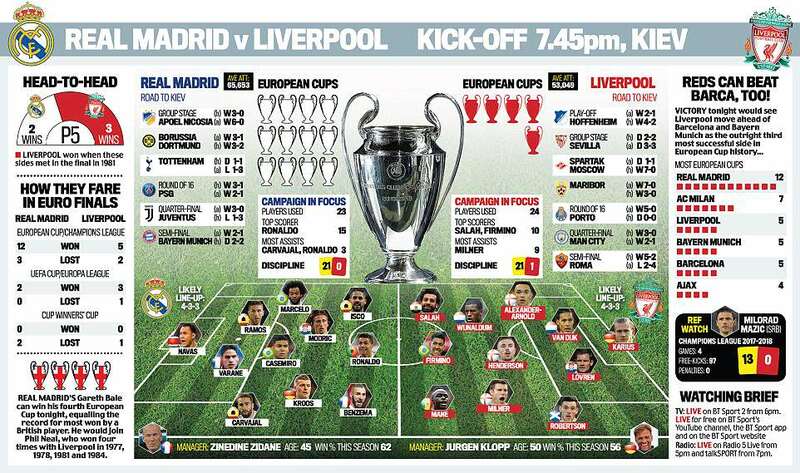 And will again on Saturday night, when Liverpool must stop Real Madrid winning an unprecedented third straight trophy in the modern Champions League era. Just retaining it last year was a first; a third would put Madrid in the company of Ajax and Bayern Munich, and the first Real Madrid team to dominate the continent, with five straight wins between 1956 and 1960. It is a different competition now. Arduous and longer, an endurance test which is what makes Real Madrid’s run such an achievement. It was May 13, 2015, when they were last eliminated from this competition, at the semi-final stage by Juventus, which is why they start this final slightly favoured. Hence the need to go big. 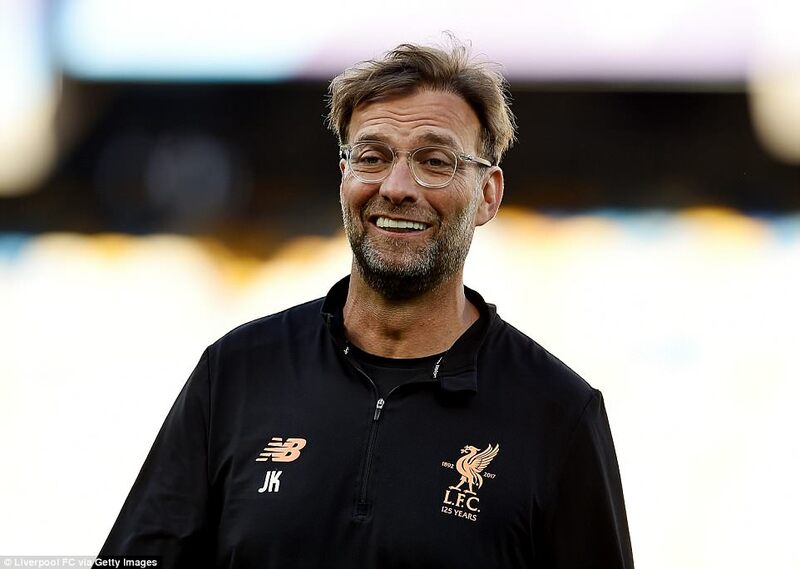 For all of Madrid’s apparent advantages, Klopp is buoyed by what he saw against Manchester City and Roma, the cavalier nature of Liverpool’s victories. ‘We not only came through, it was not 0-0 there and 1-0 at home,’ he said. ‘I really loved it. At home it was like — wow, what was that? It was a new kind of level in the Champions League. ‘It was not that we were so much better, but it was different, so brave, the power we had against Manchester City for example — it was big balls football. ‘There are so many things you have to bring to the pitch to win a game at that level. You remember the goals, you remember the chances, sometimes not even the chances, just the goals. But we had so many game changing moments. Unbelievable, and we showed them to the players after because nobody really thinks about them. You have a challenge here, pass the ball there, and then three passes later we score a goal — but it was the challenge that started it. ‘Porto is one in my mind. Mo Salah in midfield, chasing a player from behind, gets the ball back and passes. 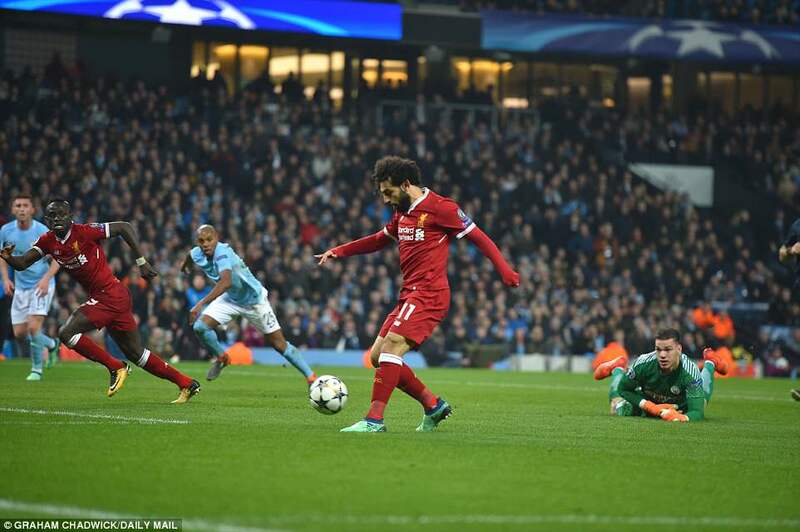 ‘The goal against Sevilla was a counter press, Salah again, surprisingly in a challenge, but then getting the ball before a deflected goal. So many things. Maribor at the end was 7-0, but what made it 1-0 was Mo again, chasing the left back after a very average pass from somebody else. These game-changing moments, we had them 500 times and we need them again. The same might be said of Real Madrid and the type of open encounter expected on Saturday night was reflected in the test screens on display around the stadium: 3-3 after 90 minutes, 5-5 after extra time and Madrid to win 10-9 on penalties. Trent Alexander-Arnold misses the crucial one for Liverpool, apparently, which seems rather harsh on the young man, but, against that, Sergio Ramos gets sent off for Real Madrid. 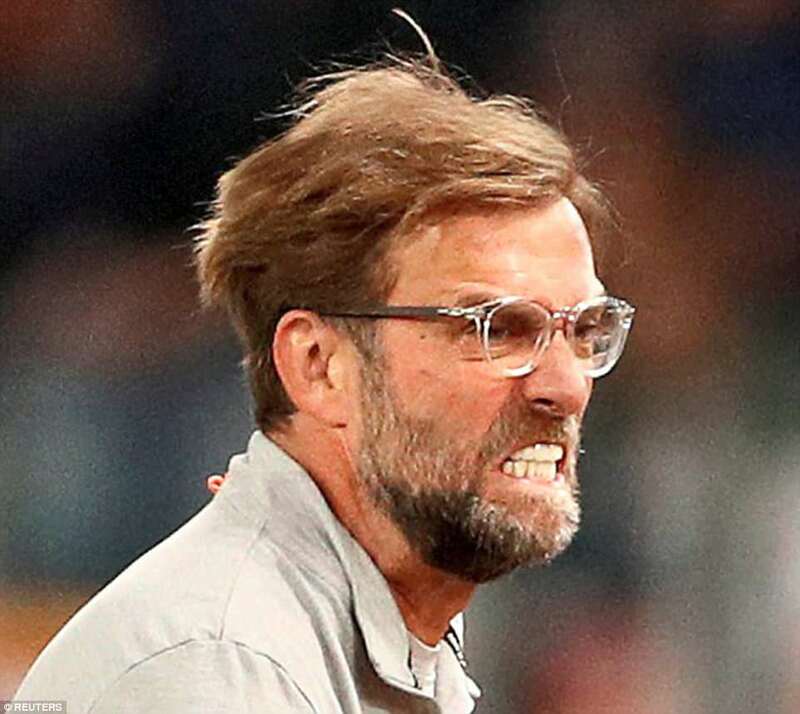 Perhaps UEFA share the rather misguided view of Klopp and opposite number Zinedine Zidane, as two coaches whose teams play off the cuff, lacking the structure and discipline of the tactical maestros. Asked to appraise Zidane in this negative context, Klopp grinned broadly. ‘That would be really funny, yes, if the two coaches in the Champions League final had no clue about tactics? What would that say about the game? ‘Zidane is one of the best five players of all time and I am longer at Liverpool than he is at Real Madrid and he has the chance to win three Champions Leagues. 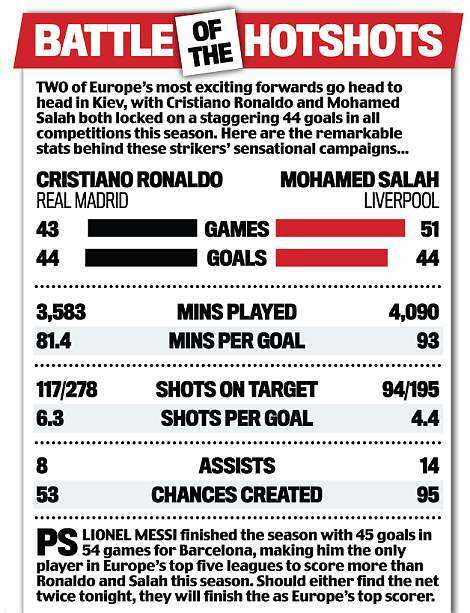 And Liverpool do have a chance, even if several key factors favour Madrid. Klopp’s team arrive as the tournament top scorers this season and their front three have 29 goals between them. In addition, James Milner (9) and Roberto Firmino (8) have 17 assists, the top performers in the tournament, ahead of Luis Suraez with five. The idea that all this happens without careful planning and strategy is ridiculous. Is it enough, however, to overcome Real Madrid’s experience? That is what Klopp cannot know. He cannot predict how his players will react to the occasion, the different tensions in the dressing-rooms. He knows his instinctive feelings, though. He believes his players have the courage to handle it all. ‘When I got to the final with Borussia Dortmund in 2013 I was much more excited,’ he said. ‘I thought that would be my once in a lifetime chance, but now my boys have given me that chance again, because they fought so incredibly hard for this. ‘I have never taken a team to consecutive Champions League finals, so I do not know how that will feel for Real Madrid’s players. ‘Experience is very important. I’m pretty sure that in the second before the game, they will be more confident than we are. But that is not a problem. Experience does not matter when the match starts. ‘We have had two weeks to prepare for this game. You watch Madrid sometimes and you think wow, but they have not played us. ‘That is how it is. We are Liverpool. We’re here because we are Liverpool. This club has in its DNA to go for the big things. We have had the most exceptional run to the final. ‘Sometimes I look and I cannot believe these numbers, these goals, but it is all true. It is us, that is us. So, yes, the experience can be a big advantage, but in games it does not help all the time. He let slip that megawatt grin again. As the sun weakened he was pitchside watching his men play 12 a side on a small size pitch. It was a surprise they had the room, what with those balls.